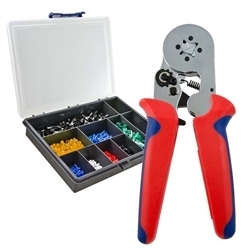 If you work with lots of various sizes of wires, this is the kit for you! 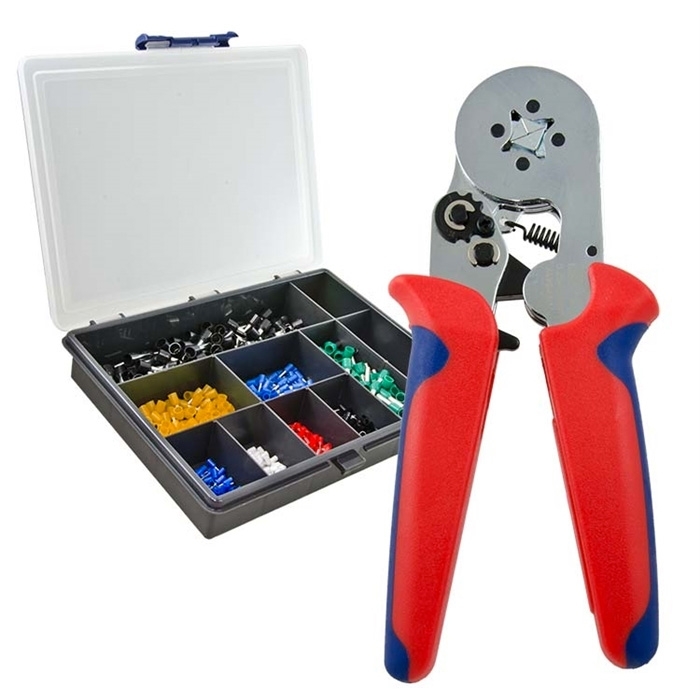 It comes with 800 insulated ferrules for wire sizes from 24AWG-7AWG, the crimper, and a rugged organizer. 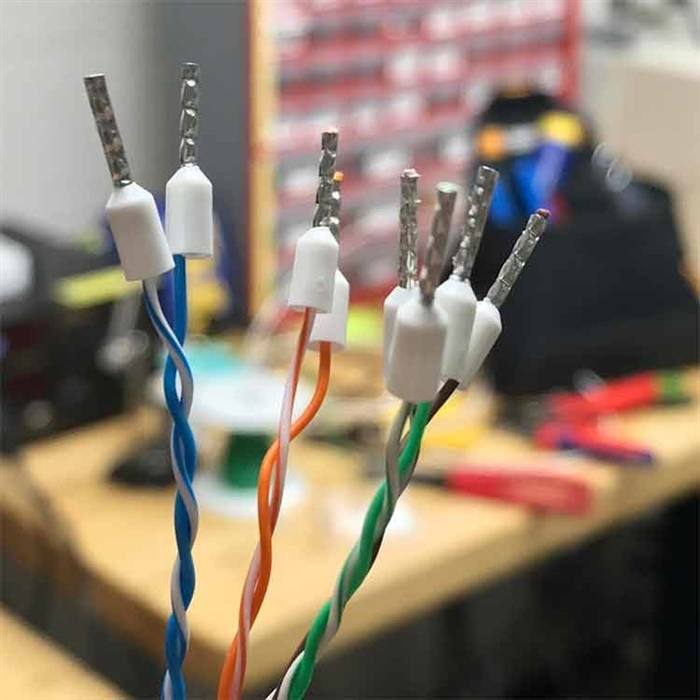 If you work with alarm systems, access control, power supplies, A/V, HVAC, or any other industry that requires you to put a stranded wire into a terminal block, these ferrules will be your new best friend. For whatever reason, ferrules seem to have completely passed over our industry. Most of the customers we ask have never heard about these glorious little buggers and how they simplify your installs. So now we are on a mission to get them into all our customers hands! 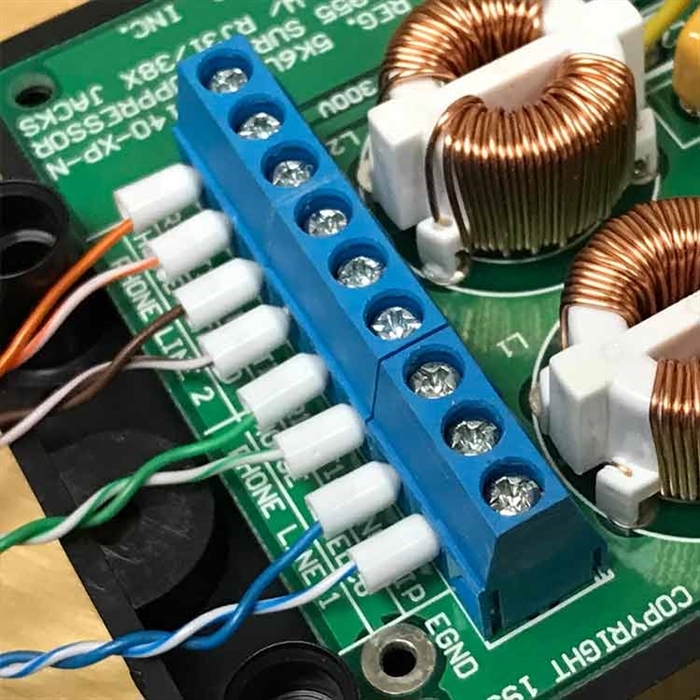 Unless it is your first day on the job, chances are you've experienced hours of troubleshooting an issue that was caused by a single copper braid crossing into the wrong position on your terminal block. If you are really serious, you may even be tinning your wires with a soldering iron to avoid this exact thing. Another frustrating issue many experience is the entire wire coming out of the terminal blocks. 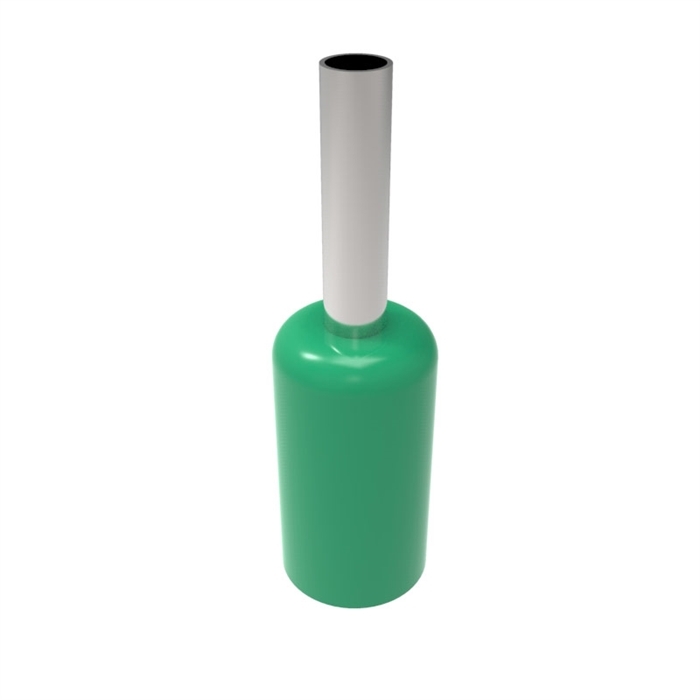 Ferrules eliminate the above two issues by containing the braid, and giving the terminal block something substantial to grip when tightening the screw down. The surrounding jacket on the ferrule is thin, so it barely changes the size of your wire. If saving you time and frustration wasn't enough, they also make your installs look sharp! The little plastic collar butts perfectly up to the terminal block giving a consistent and professional looking job! Awesome Tool !! Sped up Production !! Only Complaint case does not store tool !! I had several wiring assemblies to finish and this kit really gave me a class completion. 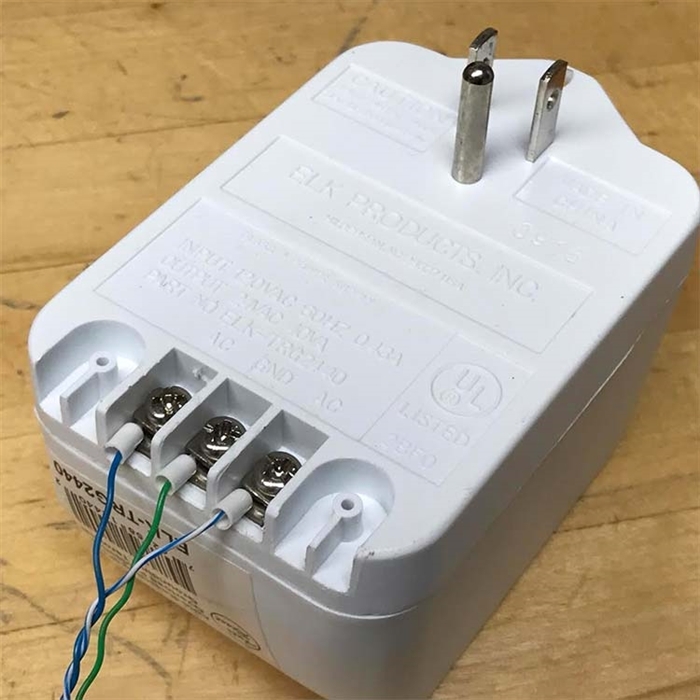 No stray strands of wire and solid connections are the main features you will appreciate. 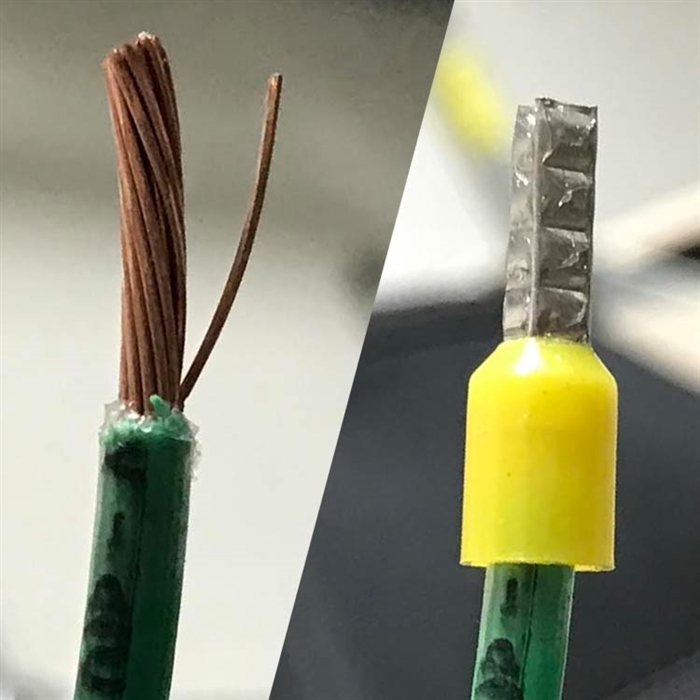 The tool is simple to use and the crimped ends on the finished connections guarantee your success without the mess of stray wire strands. works well, only used on limited level to this point. So far, this Product Review was helpful to 3 TTS Customers. These ferrule's definitely have their place in wire terminations. 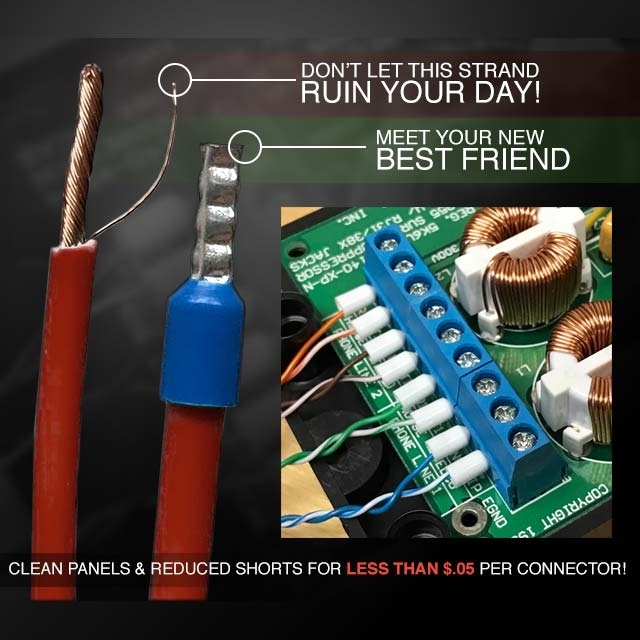 Great for connecting stranded wires to J plugs on thermostats or smaller push in landing points for your control wiring. Theses ferrule's do have limitations including terminations on larger screw terminals like contactors or (in this case) under screw terminals of float switches where spade (flat) terminals are preferred. The only drawback to this order is the storage container provided is too small to house the crimper.